Last year it was all about the heroes in a half shell when it came to my son's party theme. 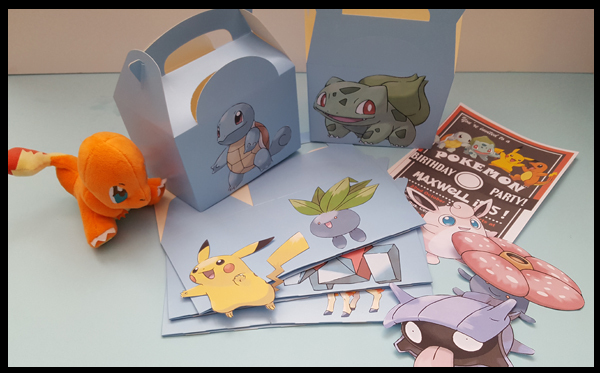 This year - we are loving Pokemon Go, and therefore my son has asked for a Pokemon party. 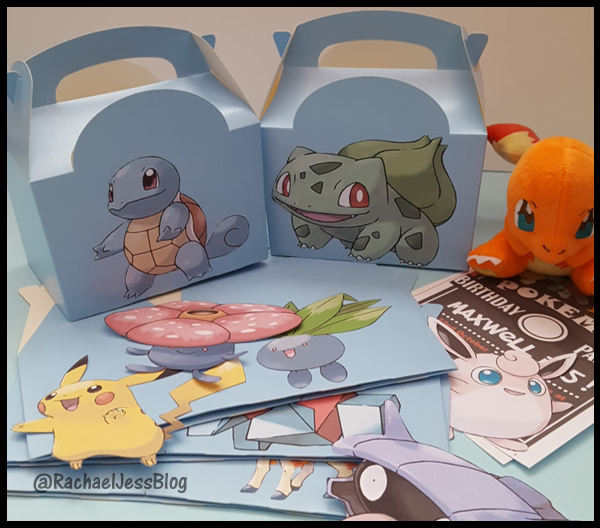 My first job was to source some Pokemon lunch boxes.... and I couldn't find any! 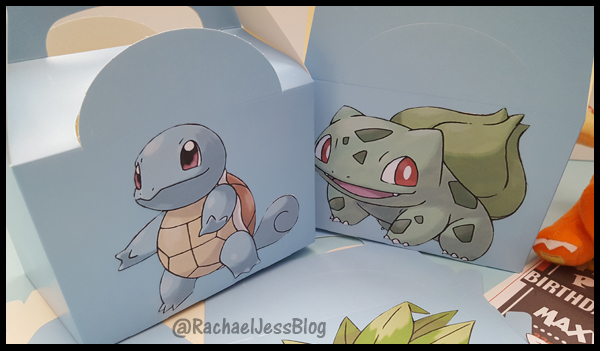 I wasn't going to let that stop me from giving out Squirtle and Bulbasaur boxes to name a few, so I made my own! 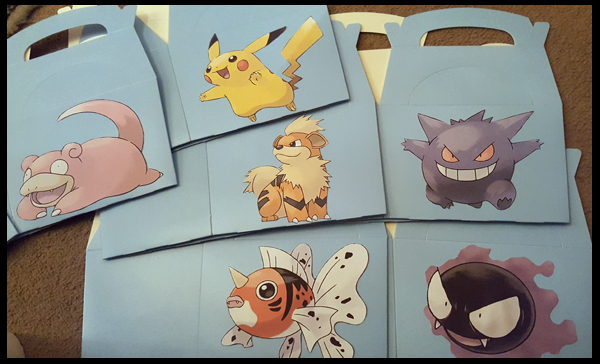 My first job was to create a file with the 'easiest to cut out' Pokemon on and resize them to fit the boxes. 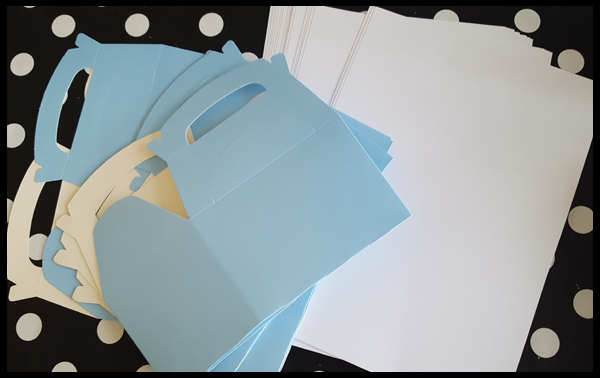 Due to the size of the boxes, I managed to get 2 per page, saving on card. 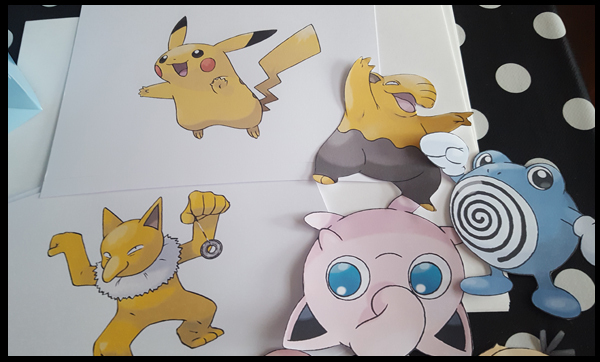 Once all the Pokemon were printed out I then spent a few nights in my spare time very carefully cutting out the images - hence the 'easiest to cut' comment. 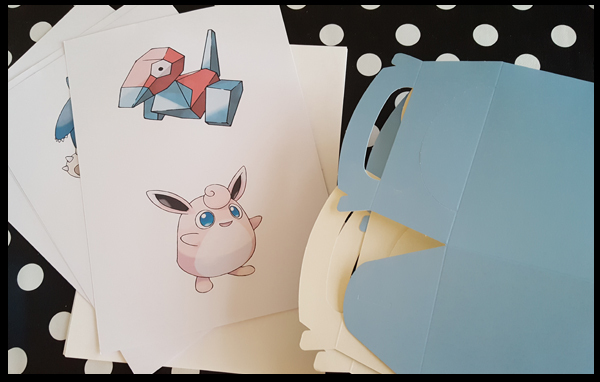 Meowth is not easy to cut out - and proved to be a pain! I used my ever faithful Mod Podge to glue the images onto the boxes. I'm very pleased with the end result, and whilst this isn't a complicated or difficult project to make, it is very time-consuming, so make sure you leave yourself plenty of time before the party to create these. 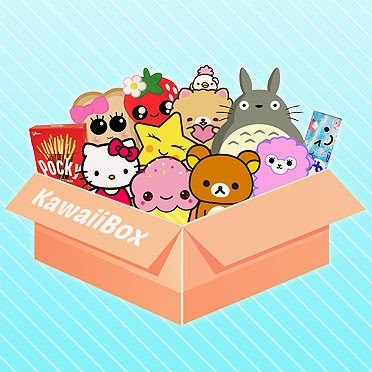 Who's your favourite? 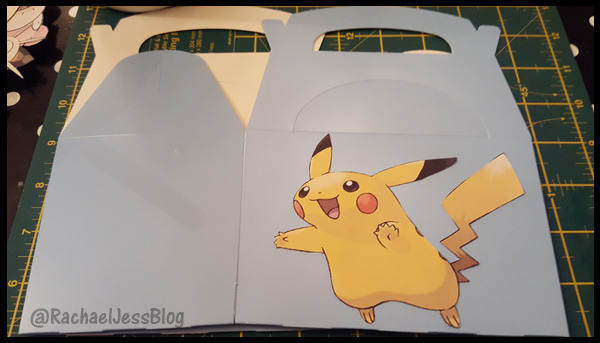 I've had to make sure I've put Pikachu and Bulbasaur on the same box for my son! (I secretly love Ponyta).